A project of Glaxo-Smith Kline logistic services designed as an incentive program for employees to use their services when shipping regionally or across the country, Roundtripping reduced company shipping costs by 50%. This logo is used on shipping boxes and program incentive items. The Roundtripping logo conveys a vintage feeling, making this design novel. The unconventional shape of this logo makes Roundtripping a more identifiable company. Contrasting fonts and illustrations provide momentum and movement to this design. We used Adobe Photoshop and Illustrator to create the fun shipping trucks that we incorporated into the main design. 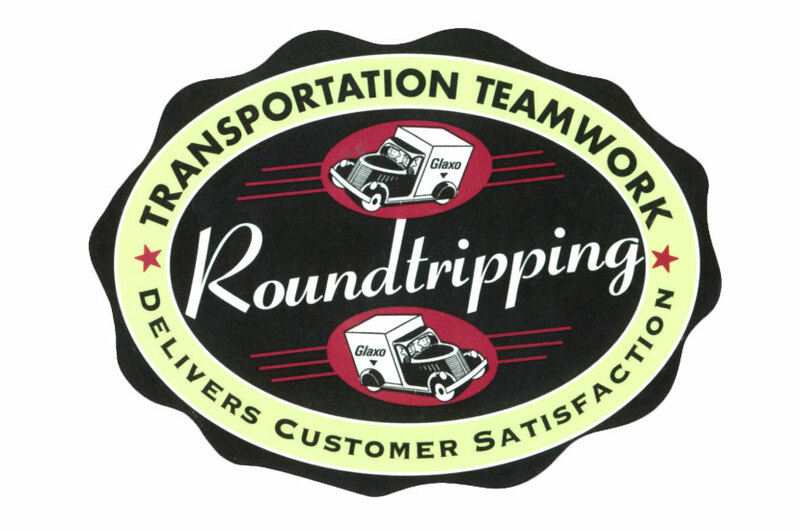 Roundtripping is all about efficiency and effectiveness, and we worked to convey that in our logo design.